The Healing Power of Lemons! 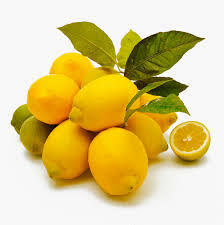 Simple.. place the washed lemon in the freezer section of your refrigerator. Once the lemon is frozen, get your grater, and shred the whole lemon (no need to peel it) and sprinkle it on top of your foods. Sprinkle it to your vegetable salad, ice cream, soup, cereals, noodles, spaghetti sauce, rice, sushi, fish dishes, whisky, wine…. the list is endless. All of the foods will unexpectedly have a wonderful taste, something that you may have never tasted before. Most likely, you only think of lemon juice and vitamin C. Not anymore. Well, you see lemon peels contain as much as 5 to 10 times more vitamins than the lemon juice itself. And yes, that’s what you’ve been wasting. So place your washed lemon in your freezer, and then grate it on your meal every day. It is a key to make your foods tastier and you get to live healthier and longer! That’s the lemon secret! Better late than never, right? The surprising benefits of lemon! You can eat the fruit in different ways: you can eat the pulp, juice press, prepare drinks, sorbets, pastries, etc… It is credited with many virtues. So, give those lemons a good wash, freeze them and grate them. Your whole body will love you for it!!!!! One Comment for The Healing Power of Lemons!